Diabetic with a sweet tooth? We have lots of choice here at Mrs Beighton’s, from sherbet lemons and aniseed twist to liquorice. In line with EU laws, products can only be labelled ‘Sugar free’, if they contain less than 0.5g of sugar per 100g or ml. ‘No added sugar’ can only be labelled if the product does not contain any monosaccharides or disaccharides. If sugar is naturally present in a product, it must be labelled as “containing naturally occurring sugars”. Sugar free sweets, with sweetener. Sugar free products include sweets and liquorice. No added sugar products include chocolates and biscuits. Most of our sugar free items are sweetened with maltitol, xylitol or isomalt. 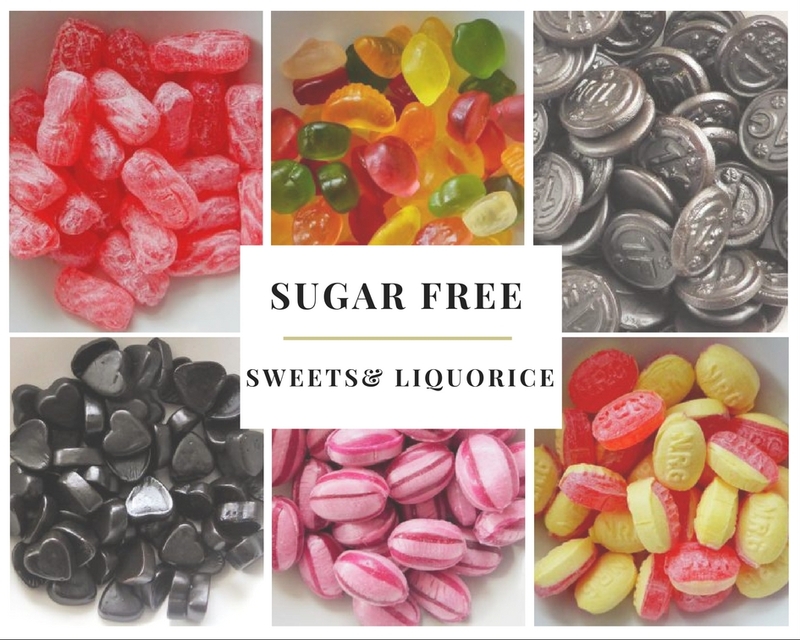 Take a look at the product descriptions on our sugar free items to see exactly what each sweet/liquorice contains. Click on the link to take you to all the sugar free items we stock. This entry was posted in Sugar Free Sweets. Bookmark the permalink.